When I started working in development, I idolised development consultants. They seemed such awe-inspiring figures; wise, glamorous, and with experience seeping from every pore. Now I work as a development consultant myself. The awe has faded, and been replaced with an increasing concerned that the growth of consultancy is a serious threat to the effectiveness of the aid sector. Consultancy is a good solution when a task requires specialist expertise, or benefits from an external perspective. It is damaging and ineffective, however, when consultants replace internal staff rather than support them. For example, rather than investing in expertise in monitoring and evaluation, organisations might choose to bring in a consultant for a few months. They use consultancy as a way to avoid spending the money needed to do their job properly. This allows organisations to reduce their overheads. While a consultant can easily get double the pay of an equivalent full time staff member, they also don’t get holiday, sick pay, management, training, and a whole host of other perks. This allows the organisation to directly reduce overheads, for example by firing their HR department. Funders also often allow organisations to count consultants as a programme cost, while full time staff count as administrative costs. If you hire a staff member with expertise in child protection, you look inefficient and bureaucratic. If you hire a consultant at twice the cost you look dynamic and action orientated. Moreover, a reliance on consultants fits very well into a funding environment based on short term and unpredictable funding for projects. Full-time staff are a real headache; when the project finishes, how would you pay their salaries? Far better to hire consultants on short-term contracts, who can be dispensed with once the project is over. This is a problem because most consultants are rubbish. I’m sorry to generalise – of course, there are many fantastic, dedicated and intelligent consultants. But in my experience, the majority simply don’t add much value. This is for two reasons. Firstly, consultants are much less able than full time staff to actually help an organisation make changes. While full time staff can learn how an organisation works and roll out changes over time, consultants are expected to implement changes overnight. It’s easy for a consultant to produce ‘deliverables’ – whether in the form of reports, frameworks or workshops – but much harder to ensure that this actually leads to improvements in the way the organisation works. Secondly, consultants typically don’t receive feedback on their work, nor opportunities for training and personal development. Over time, consultants tend to become sloppy and produce second-best work because they’ve learnt that it seldom gets challenged. There is an interesting analogy with locums, doctors who work short-term contracts in different hospitals. Locum work in the NHS is lucrative, but severely frowned upon. Without the training and support of the normal medical system, locums do not develop, and so will never be able to move onto more advanced jobs. This is a growing problem for the sector. I’ve spoken to a number of people who have left their current full time work to become consultants, where they can get a lot more money and more flexible and exciting work. In some cases, staff leave their organisation and are contracted almost immediately back again, providing short-term inputs instead of long-term support. Organisations lose their effective full time staff, replacing them with ineffective consultants. So what is the solution? I’m going to propose two; a short term fix and a long term improvement. In the short term, I would love to see a TripAdvisor equivalent for consultants. Something where clients could rate consultants and provide feedback in an open forum. Think of it as ratemyconsultant.com. In the long run, however, there’s only one thing which will really make a difference. 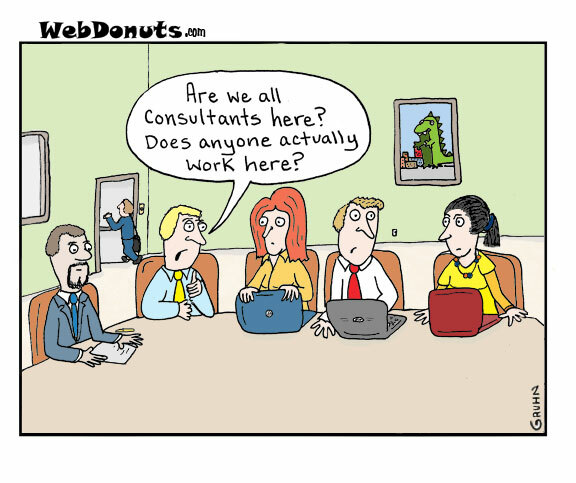 Development organisations need to stop relying on consultants and invest in their own staff. Donors need to stop considering trained, motivated staff as an overhead cost, and think of them as a foundation for effective development work. Both donors and organisations need to provide training and support in order to increase the quality of their staff, and build a rewarding work environment which enables organisations to keep their staff in the long-term. Volunteering Overseas: the best method for creating new aid workers? I started my career in development, working in a small orphanage in a third world country. The orphanage was run by a national religious charity. Most of the children living there had parents, but had been removed from their parent’s care by the judicial system. These children had been abandoned several times by their parents, wider family, and the authorities. After a significant period of time attempting to provide them with some love, I did the same: I left. Not long after I went, another young person filled my shoes. While she was there, one child was kidnapped by his parents, who wanted him to pickpocket in the market for them. This put him in danger of abuse and a potential prison sentence, if not worse. Soon after the incident, she left as well. And eventually, the charity collapsed and the children found themselves spread across a new set of institutions, or simply back on the streets. Several years later, I returned and met up with some of the same children. They were bitter and angry at me. I couldn’t blame them. I too had abandoned them: betrayed their trust. Had they grown up in Western Europe or North America, they would be offered a hell a lot of psychological therapy for that kind of childhood. It wasn’t till several years later that I discovered Mary Anderson’s Do No Harm principles. Anderson’s principles focus on the impact of aid on conflict, but the idea that we should all be responsible for the consequences of our actions rings true for all those working in another country. However, this requires awareness, which young or inexperienced volunteers don’t always have. Very few of my fellow young volunteers would see any harm from what they did during their 3 months in Uganda or 2 weeks in Nepal. And most probably didn’t cause any harm. But did they help? Or was this purely a learning experience for them? I learnt a lot from my first experience. I quickly left the sector and undertook a completely different career which, made me much better suited to the aid sector when I did return. In this new career, I learnt genuine skills and re-entered with my own separate profession. Nonetheless, that initial job in a developing country showed me all the problems with the sector, so that when I returned, I did so with open eyes. Volunteering on a small project overseas quickly builds essential experience for aid work, such as an understanding of working in a third country, an ability to work with a diverse range of people from different backgrounds, and a willingness to live in basic conditions. However, voluntary service can also instil the wrong attitudes and ideas, which can be extremely damaging to the humanitarian sector. Voluntary service is included in some lists of humanitarian principles, namely those of the Red Cross and Red Crescent societies, but the original Dunantist principles focus on humanity, impartiality, neutrality and independence. Few, if any volunteers are provided with the longer list of principles. Back in the orphanage, I had no idea about impartiality or neutrality. I was encouraged to get money or resources from any possible source. I was taught to believe that if I didn’t then the children wouldn’t have any bread for their breakfast. I cozied up to local politicians, and I put on a frock to attend high society events with the cutest looking child. Much worse, I never considered that my short-term presence could do more harm than good, or that the children I worked with could ever be angry with me for my “help”. By effectively requiring new humanitarian workers to have worked as volunteers, we are instilling the idea that aid is just volunteerism plus money and better technology. These new aid workers often come from an environment where they were never asked to think about whether they could do harm, and where it was inherently assumed that they were doing good just from being there. 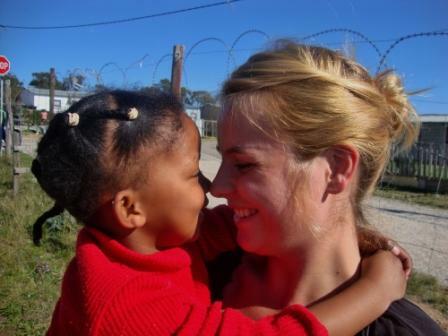 The attitudes which are instilled at these early stages of a career are apparent throughout the aid sector. If we want to professionalise the sector, we could start off by professionalising our volunteers.